The Society was founded by the late Kenneth Keele, who combined a distinguished career in medicine with important research into the work of Leonardo. Officers have included Sir Ernst Gombrich and Martin Kemp. It is notable that, while all three scholars could correctly be described as experts on the work of Leonardo, none of them was or is a specialist on Leonardo in the sense of carrying out research only into the work of Leonardo. That, of course, also tells one something about Leonardo. President, Dr J. V. Field, Department of History of Art & Screen Media, Birkbeck College 43 Gordon Sq., London WC1H 0PD; tel & fax +(44) (0)20 7736 9198, email: jv.field(at)hist-art.bbk.ac.uk. Vice President, Professor Francis Ames-Lewis, Department of History of Art & Screen Media, Birkbeck College; home address: 52 Prebend Gardens, London W6 0XU; tel & fax +(44) (0)20 8748 1259, email: f.ames-lewis(at)hist-art.bbk.ac.uk. Secretary and Treasurer, Ms Angela Sheehan, 73 Montpelier Rise, London NW11 9DU; tel (0)20 8458 3552; email: asheehan(at)waitrose.com. Newsletter Editor, Dr Maya Corry, Oriel College, Oxford, OX1 4EW; email: maya.corry(at)oriel.ox.ac.uk. Publicity & Web Management, Dr Matthew Landrus, Research Fellow, Wolfson College, and Faculty of History, University of Oxford, Oxford, OX2 6UD; UK tel 0753 094 2043; US tel (001) (401) 654 9445; email: matthew.landrus(at)history.ox.ac.uk; and Dr Marco Versiero, École Normale Supérieure de Lyon, Lyon, France. Dr Juliana Barone, Department of History of Art & Screen Media, Birkbeck College, London; email: juliana.barone(at)btinternet.com. Dr Stephen Clucas, Department of English and Humanities, Birkbeck College, London; email: s.clucas(at)sas.ac.uk. Dr Guido Giglioni, The Warburg Institute, University of London; email: Guido.Giglioni(at)bbk.ac.uk. Professor Frank A.J.L. James, Royal Institution Centre for the History of Science and Technology, Royal Institution of Great Britain, London; and at the University College London Department of Science and Technology Studies; email: fjames(at)ri.ac.uk. Professor Dilwyn Knox, School of European Languages, Culture and Society, Faculty of Arts & Humanities, UCL (University College London), London; email: d.knox(at)ucl.ac.uk. Dr Nick Lambert, Director of Research, Ravensbourne University, London; email: n.lambert(at)rave.ac.uk. Mr Tony Mann, School of Computing and Mathematical Sciences; The University of Greenwich, London; email: a.mann(at)gre.ac.uk. Dr Richard Oosterhoff, Faculty of History, University of Cambridge; email: ro289(at)cam.ac.uk. Dr Letizia Panizza, Royal Holloway, University of London; email: L.Panizza(at)rhul.ac.uk. Dr Anna Sconza, Department of Italian Studies / Etudes Italiennes et Roumaines, l'Université Sorbonne Nouvelle Paris 3; email: anna.sconza(at)univ-paris3.fr. Mr Richard Talbot, Head of Fine Art, School of Arts and Cultures, Newcastle University; email: richard.talbot(at)ncl.ac.uk. Within the history of art Leonardo da Vinci (1452 - 1519) represents 'science' and within the history of science he represents art. On the trivial level this means that many art historians take it for granted that his anatomical or optical drawings are correct (that is, in accord with twentieth-century views) while historians of science are sometimes at least equally impressionable, being dazzled by the beauty of the drawings with which they are confronted. In Leonardo's work we are seeing into a culture in which academic specialisations make a map very different from that of our own time, and in which, moreover, there is a considerable degree of social separation between a tradition of university learning, and a tradition of practical skills, despite a notable degree of overlap in subject matter. Nor is the advantage all to the person who is 'learned' in the sense of having university training or being able to read Latin. For instance, in Italy, when it comes to geometry or arithmetic, we may not assume that the fifteenth- or sixteenth-century 'scholar' knew more than the 'craftsman'. Also, the practical tradition fares better than the theoretical one in providing lasting monuments to skill. The dome of Florence cathedral (nearly finished when its designer, Filippo Brunelleschi, died in 1446) now looks much more impressive than fifteenth-century astronomical theories - and not only to non-specialists. Since history of art is a better established discipline than history of science, Leonardo has in fact chiefly been studied from the art side, though (for instance) his innovatory methods of illustration, such as his use of an 'exploded' view, clearly had an influence well beyond the realm of what would now be called fine art. It is taken as given that the painting of religious subjects stood at the centre of Leonardo’s practice. But his intense innovations in the spiritual presentation of Biblical figures have been underplayed, not least through a misunderstanding of his theological stance, which tends to be taken as equivocal or even coloured by heresy. 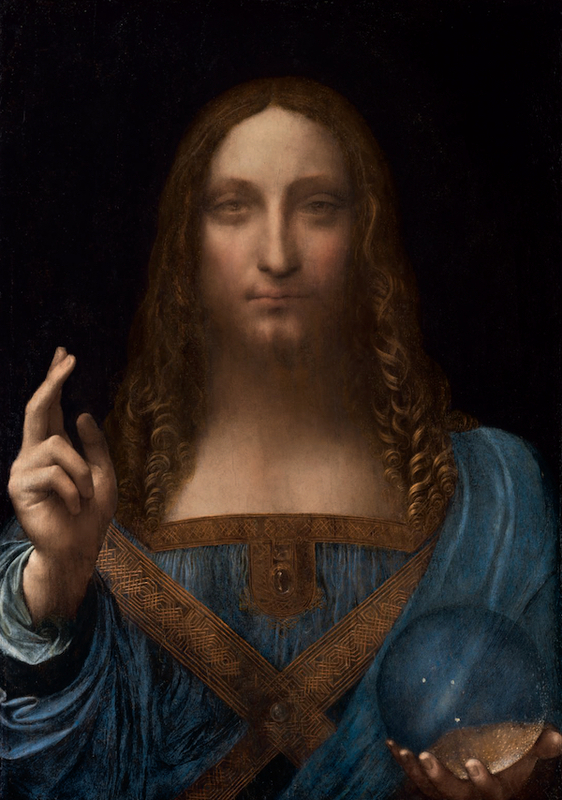 The advent of the autograph Salvator Mundi, with its unique blend of spirituality and science, provides a prime opportunity to re-define his pictorial practice and religious attitudes across his career. A PDF poster/announcement of the lecture is here. This paper provides a detailed assessment of the circumstances of rebinding of the Warsaw copy of La Sforziada, and, according to the latest publication of Prof. Martin Kemp, parallel excision of the portrait of La Bella Principessa. Extensive study of the history of the Zamoyski book collection as well as scrupulous analysis of alterations to the original volume – decoration of the new leather cover, watermarks on inserted sheets, bookplates, existing and obliterated inscriptions - have helped specify the time frame to the first years of the 19th century. Consequently, the identification of the individuals who were responsible for this restoration was possible. It is essentially due to what today's historians would regard as an ill chosen set of categories that Leonardo, that is his historical persona, has become a symbol for the meeting of Art and Science, though his activities are indeed unusually multifarious even by the standards of his own time. However, if the categories of Art and Science are defined in twentieth-century terms, Leonardo's work does indeed span them, and since 1990 the Leonardo da Vinci Society has organised an annual series of one-day conferences, in partnership with the Society for Renaissance Studies, on the general theme 'Art and Science in the Italian Renaissance'. Can one have perpetual motion? The search for the perfect machine, which would work with total efficiency and be self-sufficient ad infinitum, occupied natural philosophers and engineers from the Middle Ages onwards. Leonardo has a central place in this story. His designs of perpetual motion machines are intriguing applications of his understanding of the laws of motion and mechanics, expressing an important side of his multifaceted experiments in art, science and engineering. The quest proved impossible in the nineteenth century with studies of thermodynamics, yet Leonardo is the first to state its impossibility. This exhibition explores new ways of analysing, reconstructing and contextualising Leonardo’s designs. Key drawings from his notebooks are featured alongside animated images and virtual models, as well as placed in the wider context of his oeuvre with tools for comparative scrutiny and reasoning. At stake is what state-of-the art technology can contribute towards our understanding of visual works and thinking processes in the fields of art and science. The exhibition is a collaboration between The Vasari Research Centre for Art and Technology at Birkbeck (London), Ravensbourne University London, The Museo Galileo (Florence); and with the support of the Leonardo da Vinci Society (London).It is also part of the international celebrations marking the 500th anniversary of the death of Leonardo da Vinci (1452-1519). It is the nucleus of a larger exhibition at the Museo Galileo in Florence (October 2019- January 2020). 6 February - Keynote Lecture, 6-7pm: Professor Michael Kwakkelstein (Director of the Dutch Institute of the History of Art in Florence) will offer the opening lecture for the exhibition: Leonardo da Vinci: the Motions of the Mind. The enormous appeal Leonardo’s paintings have exercised on the viewer, from the time they were painted up to the present day, can be attributed to his unequalled rendering of human emotions. The Last Supper and the Mona Lisa have become the world’s most famous paintings because viewers are attracted by the convincing suggestion of the living presence of the animated human figure in these works. It is this very illusion painting can create that Leonardo has in mind when in his notes on painting he repeatedly points out that a good painting attracts and keeps the viewers’ attention when he or she is moved by the figures painted therein. At the same time Leonardo acknowledged the difficulty of mastering the depiction of bodily movements and facial expressions that correspond to certain emotions and are appropriate to age, gender, temperament and social status and for that reason he intended to write a book on the bodily expression of emotions. Apart from his plan to provide the painter with a set of examples, he urged him to learn these expressive bodily movements by drawing from life. The aim of this lecture is to define the relationship between Leonardo’s views on the study of emotional expression and his own artistic practice. The lecture is followed by the exhibition private view and reception 7.00-9pm. All Welcome! Book your ticket here. 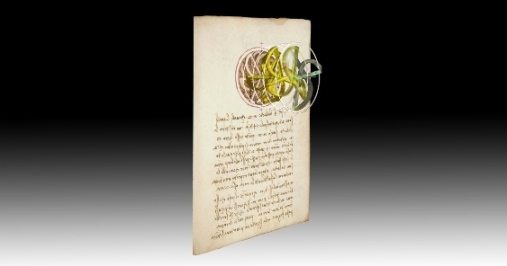 This workshop is dedicated to the presentation of the work done on digital models derived from Leonardo’s drawings and the preparations for the exhibition “Leonardo da Vinci and Perpetual Motion: Visualizing Impossible Machines” (Peltz Gallery, Birkbeck University London, from 6th February to 12 March 2019). The Lives of Leonardo, edited by Thomas Frangenberg and Rodney Palmer, Warburg Institute, Nino Aragno Editore, Turin, 2013. Available at The School of Advanced Study, University of London. Re-Reading Leonardo: The Treatise on Painting across Europe, 1550-1900, edited and introduced by Claire Farago, Ashgate, 2009.Available at Ashgate and Amazon. Rise of the Image: Essays on the History of the Illustrated Art Book, edited by Rodney Palmer and Thomas Frangenberg, Ashgate, 2003. Available at Ashgate and Amazon. Poetry on Art: Renaissance to Romanticism, edited by Thomas Frangenberg, Shaun Tyas, 2003. Usually available at Abebooks. 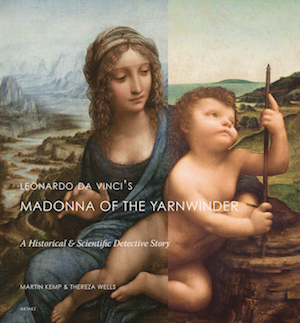 Leonardo da Vinci’s Madonna of the Yarnwinder: A Historical and Scientific Detective Story, by Martin Kemp and Thereza Wells, London: Artakt, first published in print form in 2011.’ Available for free: epub here. Andrea del Verrocchio, Life and Work, by Dario Covi, Arte e archeologia - Studi e documenti, vol. 27, Olschki, 2005. Available at Olschki. Le armi e le macchine da guerra: il De re militari di Leonardo, by Matthew Landrus, Disegni di Leonardo dal Codice Atlantico 5, DeAgostini, 2010. Available on request from the author and at the Biblioteca Ambrosiana. Art and Identity in Early Modern Rome, edited by Jill Burke and Michael Bury, Ashgate, 2008. Available at Ashgate and href="http://www.amazon.co.uk/Art-Identity-Early-Modern-Rome/dp/075465690X/ref=sr_1_3?s=books&ie=UTF8&qid=1344274901&sr=1-3">Amazon. Christ to Coke: How Image Becomes Icon, by Martin Kemp, Oxford University Press, 2011. Available at Amazon. The Common Purposes of Life, Science and Society at the Royal Institution of Great Britain, edited by Frank A.J.L. James, Ashgate, 2002. Available at Ashgate and Amazon. The Correspondence of Michael Faraday, edited by Frank A.J.L. James, Volumes 1-6, The Institution of Engineering and Technology, 1991-2011. Available at The Institution of Engineering and Technology, and Amazon. The Invention of Infinity: Mathematics and Art in the Renaissance, by J.V. Field, Oxford University Press, 1997. Available at Amazon. Isabella and Leonardo: The Artistic Relationship Between Isabella D'Este and Leonardo Da Vinci, by Francis Ames-Lewis, Yale University Press, 2012. Available at Amazon. Leonardo, by Martin Kemp, Oxford University Press, 2004. Available at Amazon. Leonardo da Vinci and his circle: drawings in British collections, edited by Martin Kemp and Juliana Barone, Giunti, 2010. Available at Giunti. Leonardo da Vinci and the Ethics of Style, edited by Claire Farago, Manchester University Press, 2008. Available at Amazon. Leonardo da Vinci's Giant Crossbow, by Matthew Landrus, Springer, 2010. Available at Amazon. Leonardo da Vinci: Life and Work, and Treasures of Leonardo da Vinci, by Matthew Landrus, Carlton and HarperCollins, 2006, 2009. Available at here, and here. Leonardo da Vinci: The Complete Paintings and Drawings, by Frank Zollner and Johannes NathanSpringer, 2003, 2011. Available at Amazon. Leonardo: Studies of Motion, by Juliana Barone, Disegni di Leonardo dal Codice Atlantico 8, DeAgostini, 2011. Available at the Biblioteca Ambrosiana. Lezioni dell'occhio, Leonardo da Vinci discepolo dell'esperienza, by Martin Kemp, Vita e Pensiero, 2004. Available at LibroCo. Piero della Francesca. A Mathematician's Art, by J.V. Field, Yale University Press, 2005. Available at Amazon. Reactions to the Master: Michelangelo's Effect on Art and Artists in the Sixteenth Century, edited by Francis Ames-Lewis and Paul Joannides, Ashgate, 2003. Available at Ashgate and Amazon. Re-Reading Leonardo: The "Treatise on Painting" Across Europe, 1550-1900, edited by Claire Farago, Ashgate, 2009. Available at Ashgate and Amazon.